NLE_Ninja official page of Kes Akalaonu | Creator of NLE Ninja Effects showcasing effects in Final Cut Pro, Premiere Pro and Avid Media Composer. 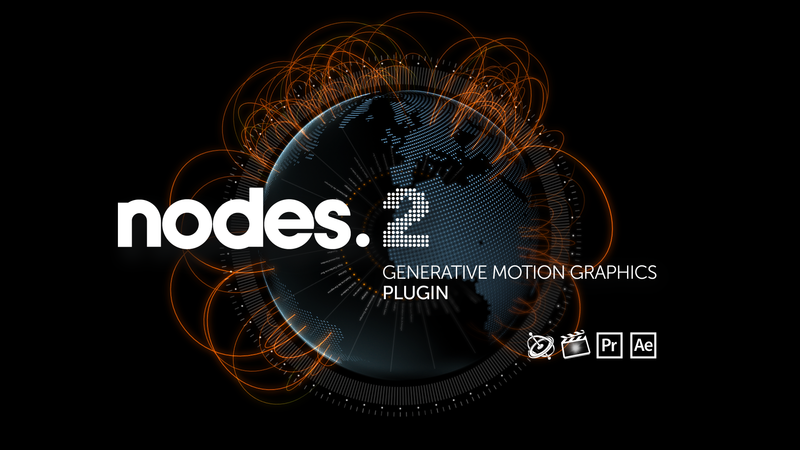 It’s been four years since Nodes 2 became available and in that time it has become an invaluable tool for many motion graphic artists across the world. This intricate plugin gives user the ability to create complex motion graphics in very little regardless if you are beginner or expert motion graphic artist. 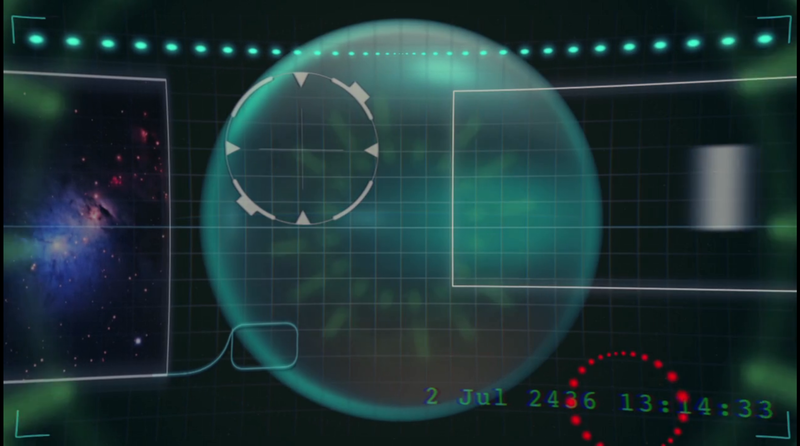 You may have seen Nodes 2 being used in a variety of Hollywood blockbusters to create HUDs, geometric particles and more. In the last 4 years, the fine folks at Yanobox have been hard at work improving and innovating Nodes. With that hard work comes the release of Nodes 3. Nodes 3 improves upon what its previous iterations were capable of doing. One noticeable improvement on this plugin is its speed and responsive. With this comprehensive plugin there came with it a caveat of being optimal on computers that were geared to handle what it can dish out. Nodes 3 does not have that issue. Speed and simplicity were key in this update with users benefiting greatly. A new preset browser has been introduced that gives you access to over 300 presets that can be modified to your needs and saved for later use. The Animation parameter offers a diverse set of options that allows the user to create endless animations. I can animate on the either X, Y, Z axis and/or rotate on one of those axis while simultaneously affecting the Nodes separately. To create items in the preset browser would take me ages to do from scratch but with Nodes 3, I created these examples in less than 3 minutes. The ability to modify the parameters and see them in real time allows you to see the infinite possibilities that are available with this plugin. The revamped animation module provided 4 slots that have 40 animation parameter destinations Selecting a parameter to your heart’s content will yield different results or you can bypass all that by switching off the Animate switch. For After Effects users, Nodes 3 plays well with the AE camera so you can orient Nodes in the 2.5D space along with using 3D models to create unique motion graphics. You can also attach null objects to the nodes and animate them as such. In this tutorial below, you can learn how to use Cinema 4D along with Nodes 3 to take things to the next level. You can even learn how to create bar graphs quickly watching this tutorial below. Overall, the engineers at Yanobox have outdone themselves with this iteration of Nodes and it really shows. Any editor or animator would benefit greatly from having this plugin in their toolkit. 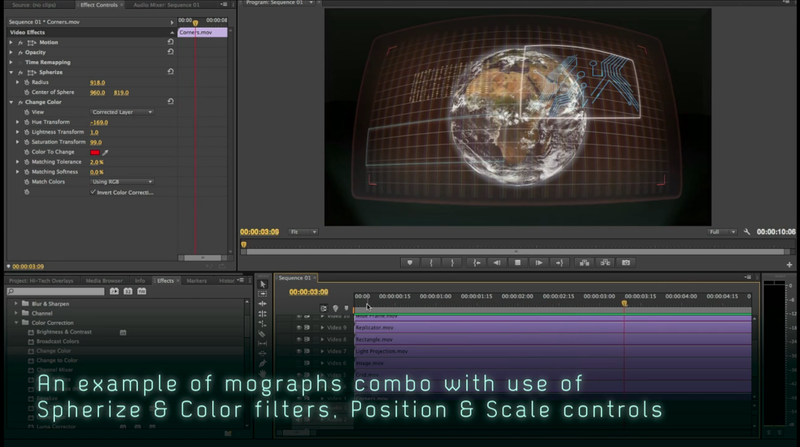 The ability to create intricate animations with easy to use parameters make Nodes 3 a must have. I encourage you to download a trial now. If you are a fashion or make-up vlogger and you are looking for a way to make your videos stand out, then look no further than Fashion Kit 01. With this kit, you get modern & beautiful effects that fit all your fashion needs. Altogether this kit consists of 10 animated elements, 5 animated mattes, 5 transitions and 5 light effects which means that you have 25 effects to play with. The animated elements are a mixture of concentric circles, pulsating crosses, dotted rectangles and more. If any of these elements look familiar, you may have seen elements like these in other Motion Graphics products that Rampant Design offers. Since these transparent video clips, you can add glow/fill effects and/or mix these elements together to create something unique for your project. I did a video breakdown of the Fashion Kit below which you can these animated elements in action. The transitions in this kit range from matted transitions to passing light ones. With the matte transitions, you use a blend mode or matte effect that puts your incoming clip inside the shape of the transition. Whether you are in an NLE or compositor, these transitions should be easy to use as well as modify to create something new. I took it upon myself to create a custom transition of my own using transition 005 by duplicating it and add an effect from GenArts Sapphire. The mattes and light effects in this kit are definitely something you’ll want to do if you incorporate montages or need quick split screens. These dynamic mattes will add a layer of sophistication that would otherwise not be available any other way. The light effects are equally effective in bringing a level of quality that is hard to match. I put some of the mattes to the test by using matte clip 003 and mixed it with some light effects in the background below. I placed a video clip of a model posing inside the matte using the Set Matte effect in Premiere in the example below. Overall, Fashion Kit 01 will make your fashion videos look like a million bucks. Whether you are doing a vlog show or making fashion highlights, using any effects from this kit will make your video stand out more than it ever could. f you want to see how you can utilize this kit, take a look at the training CEO Sean Mullen offers here. When you are working on videos that show intense training or athletes at peak performance, you need a kit of elements that will accentuate that feeling to the viewer. Well look no further than Rampant Design Tools’s Sport Kit 01. With this kit you will get fun, modern & high energy effects that will make you the envy of your fellow editors as well highlight which sports theme you are working on. Altogether, you get 5 handcrafted animated elements, 5 animated mattes, 5 light effects and 5 transitions at your disposal. Let’s take a look at the animated elements. Each animated element is unique in that they stand out on their own. You can them individually on your video clips, add glow/fill effects or mix and combine to create something brand new. In the video breakdown I have below, you can see how I was able to mix and match the animated elements to make my video pop. The action in the clip was visually appealing as is but the animated elements took it to the next level. One of the things I’ve always enjoyed about Rampant Design’s products are how intricate their matte products are. To create something like this from scratch could be frustrating unless you have a good eye for symmetry. Luckily, I have to do is place one of these mattes on top of my clip, use a matte effect and like magic my video clip is inside the matte. The set of transitions this kit has is really cool. High speed light transitions and repeating matte transitions are handy when you need to plug energy into your sport videos. Use them as they are or like the animated elements, change their color and/or mix and match them to create something brand new. In the images below, I modified one of the transitions to make it unique to my project. Last but not least are the light effects which are a staple in the RDT product line. Many times when I’ve used these effects have my videos shined more than usual. Use one or more of these together and utilizing blend modes and/or opacity add a dimension of abstractness that you couldn’t replicate on your own. I mixed and match some light effects myself and came to this composite which really looks incredible. Sport Kit 01 is an incredible kit worth taking a look at and investing in. It will be the smartest $19 you’ve spent and you’ll feel as if you got more than you bargained for. If you want to see how you can utilize this kit, take a look at the training CEO Sean Mullen offers here. Another great product from the team at Luca Visual FX has been released for Final Cut Pro X through the FxFactory platform known as XLayers. 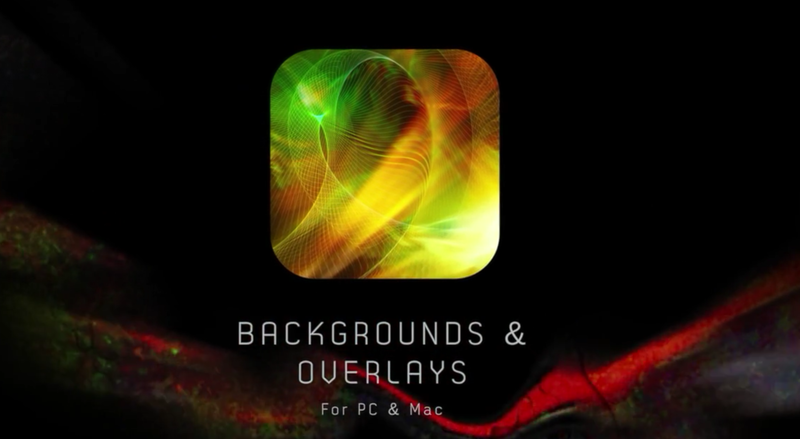 This team continues to be one of the leading plugin developers for FCPX with this latest entry. This impressive collection of 12 effects and 7 generators allow editors to create a variety of effects not limited to: magnification, logo reveal, image fragments, mask splits and much more. I recently had a chance to try this new plugin out and test its possibilities. I’m going to highlight few effects and generators that caught my eye and expand on possible questions you may have. Mask Spilt 2 gives the user an effective way to change up their video with rich yet simple masking effect which allows you to composite the image/video source with any other video they choose. The reason this effect is called Mask Split 2 is because is a new version from Mask Split from XOverlays pack which is a sibling pack to XLayers. Within the parameters of Mask Split 2, I can change the style from Random to Waves, Fast Random, Mirrored and much more. One thing to note is that you need a custom image in order for this effect to work. Once I have that set up, I can modify the image scale as well as the mask scale. I also have the option to blurring the background and manipulate the overall appearance. In the video above, I used Mask Split to showcase its capabilities. For the first example, I used a Film Leader generator from Luca Visual FX and Alternate style animation to get the look you see. 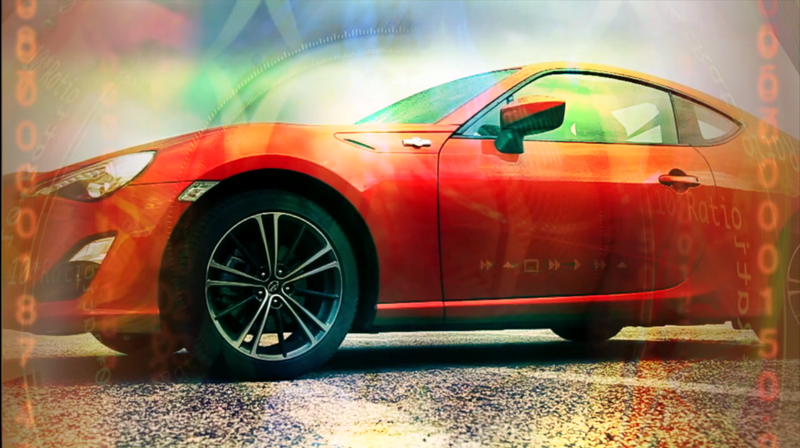 For the second example, I used the Beat style animation, modified the bar width, exposure and overall color settings. Personally, I found the Beat Style to have the best overall animation. For the third example, I went beyond the Mask Split 2 and combine the effect with the Funky Linear effect from XOverlays. Combining these two effects definitely showed the XLayers can work well with other plugins when you experiment with it. Let’s take a look at Key Overlayer. Key Overlayer is probably one of my favorite effects out of this collection. 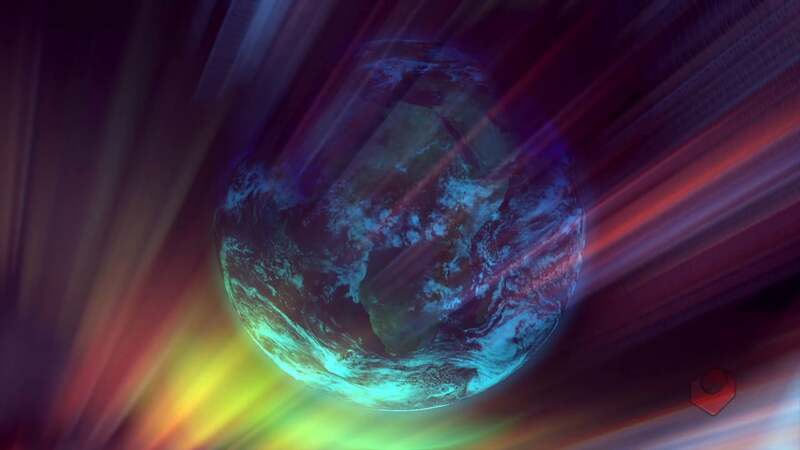 It’s an effect that allows the user to combine a custom image or video clip with a selected clip on the timeline and automatically key out the luma or black to create an interesting composite. It comes with a default colorful animated pattern but the user can replace it with whatever media desired. When Preserved RGB is checked, you can play with the Mix to create some interesting looks that are astounding. Within the Key Overlayer parameters, I can scale up a background that I’m using in the drop zone or the default pattern. I can fill holes or shrink/expand the amount of key. I can also soften or erode the key as well. Overall, I believe this effect is the ultimate blending composite plugin I have ever worked with. In the video above, I created 3 examples which showcase the abilities of this effect. The first example has me using a clip from the Backgrounds & Overlays collection and modifying the parameters to mix it with my stock footage. For the next example, I used 2 instances of Key Overlayer to mix a B&O and a Luca Visual FX Light Leak generator to complement the slow motion footage. The final example was quite the marriage between compositing and keying. 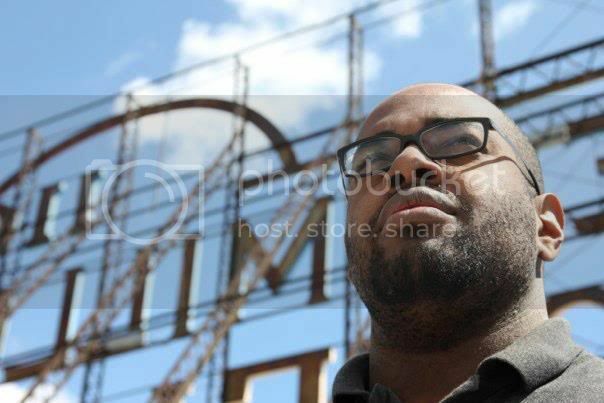 I keyed out my stock footage which had a blue sky withe FCPX keyer. Then, I applied Key Overlayer with BGO015, inverted it and modified the settings to taste. I added Sound Ripples from the XOverlays collection and combine it with a glow. I placed a second instanced of my keyed stock footage and used the Core Glow filter from Coremelt along with the Twinkle filter from SugarFX. Using the Linear Dodge blend mode and scale percent of 180, I was able to create this cool composite. I’ve highlighted two of my favorite effects from this collection, let’s take a look at the generators. Square is a generator which allows to place up 3 images in separate drop zones and customize their parameters. Users can affect the position, opacity, scale, exposure and more by manipulating the available parameters. One thing to take into account when using this generator is that you want to make sure your clip length matches the generator’s length. If you choose to keyframe the X and Y position of each drop zone, you can create an interesting effect. In the video above, I created 2 examples where one highlights the basic use of the generator and another highlights how far you can push the parameters. In the first example, I place a clip of a dancing woman in Drop Zone 1 and 2 to get the fragmentation effect. I placed a custom background clip in the Background Drop Zone to help illuminate it further. Overall, that is the generator in its basic form. In the second example, I used keyframes to animate the position of each drop zone so that I could push the limits of what it was capable of. Overall, I found this look to be more pleasing to the eye and it showed that these generators possess the capability to be more creative than presented. Let’s look at the Concentric Images generator next. Concentric Images is a generator similar to Square except that you can use 6 images instead of 3. One major difference in this generator is that all the images come in circles as oppose to the other generators that offer a different looks like squares and shape fragments. One way to use this creatively is to place the same clip at different time intervals and animate various properties to create a unique effect. In the video above, I put the time technique to the test. In the first example, I used all 6 dropzone to illustrate how it would look with a video background and the same video clip at different time intervals. It was almost a good look with the exception of the six drop zone in the front. I could scale it to alter its appearance but I left it as is. The second example yielded a cooler look where I animated the opacity of each drop zone with the same clip at different time intervals. Overall, I’m a fan of this generator and what it offers the use in terms of usability and parameters. One thing that would be cool to add is the ability to rotate the drop zone mask so it creates a vertigo effect on the footage. Can I combine these effects with other effects? Of course you can. In fact, it is encouraged. XLayers was created to be combined with the effects and generators in its collection as well as other plugins you wish to combine. In the video examples above, I clearly showcased how combining XLayers with other plugins can create unique and interesting looks. Overall, XLayers is a sophisticated set of plugins which can be used to tackle any creative project. I highly recommend that you try creating you own unique looks and styles with the effects and generators as well as mixing them with other Luca Visual FX products. The possibilities are endless. Readers of this article can get a 30% discount offer to those who afte reading/seeing your tut/review email support@lucavisualfx.com to claim one. Avengers. Ender’s Game. Iron Man 3. Rise of the Planet of the Apes. These are just a few films that have had the opportunity to utilize the plugin that is known as Nodes. With the release of Nodes 2, Yanobox has upped the ante with what this plugin can do. This motion graphic tool can import 3D models, interact with the After Effects camera, link text and images to individual nodes and so much more. The best part is that it supports the most popular editing and compositing programs on the market which include the following: After Effects, Motion, Final Cut Pro X and Premiere Pro. If you don’t believe how awesome and intricate this plugin is, well then take a look at this demo below. I’ve had a chance to try out Nodes 2 myself and I was extremely impressed with how quickly I was able to pick it up. Here are a few quick examples of what I was able to create on my own which to my surprised rendered real fast on my iMac. Overall, Nodes 2 is an incredible plugin that needs to be experienced firsthand to admire the depth it has. With this plugin, I am to create breathtaking and stylized motion graphics that would require multiple plugins and tinkering to achieve look the Nodes can create effortlessly. The fine folks of Noise Industries have provided very detailed tutorials for your favorite software application which you can check out here. If you are looking for a plugin that imports stunning 3D models, build networks of node structures and allows you to create an limitless amount of text and image connections then look no further than Yanobox Nodes 2. At the price of $299, it’s a no brainer purchase that will save you hours of work and allow you to explore more creative depths than you can imagine. The team of Luca Visual FX have been working hard to bring a new product in the market that will benefit post production professionals across Mac and PC computers. It is Hi-Tech Overlays. This product line expands on the line of alpha transitions and overlays that LVFX has created in the past with a brand new model for users to access the elements they need at a moment’s notice. I’ve had a chance to preview the new library and had a chat with the guys LVFX. Here are a few questions users may have. It is an alternative solution to our Hi-Tech plugins for FCPX that provides users of software such as Premiere Pro, Avid Media Composer, After Effects, Motion, Final Cut Pro a way to build Hi-Tech mographs for promos, sci-fi, music videos, news and sport, corporate productions and more. I see that you implemented a new system for the users to access the product, tell us about it. Will the library be based on a subscription that you pay monthly or is there a lifetime license? No monthly subscriptions to pay but only a single lifetime licence that people can easily purchase on our web site. 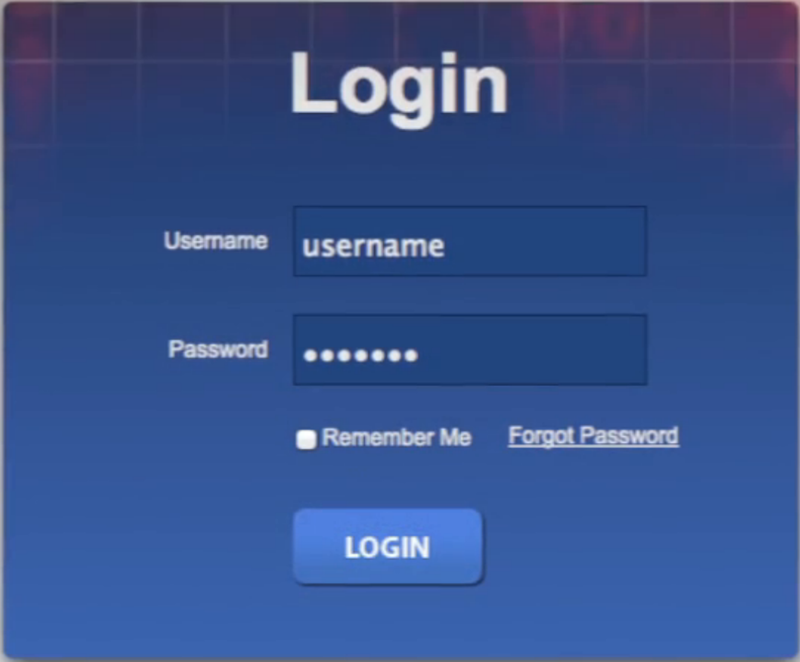 The user will receive unique and safe login details shortly after completing the payment and will be able to download both Hi-Tech default looks of effects like holograms, displays, sci-fi mographs, fractals etc. and individual elements to customise and combine as desired. The library also includes High-Tech Elements Vol.1. All files are delivered as .mov so as long as the user has Quicktime correctly installed everything should work correctly. Yes, we have already edited 4 of them and more will come. They show how to customize not only the elements but also how to combine them creatively in order to create unique looks. The first for are available on VIMEO. 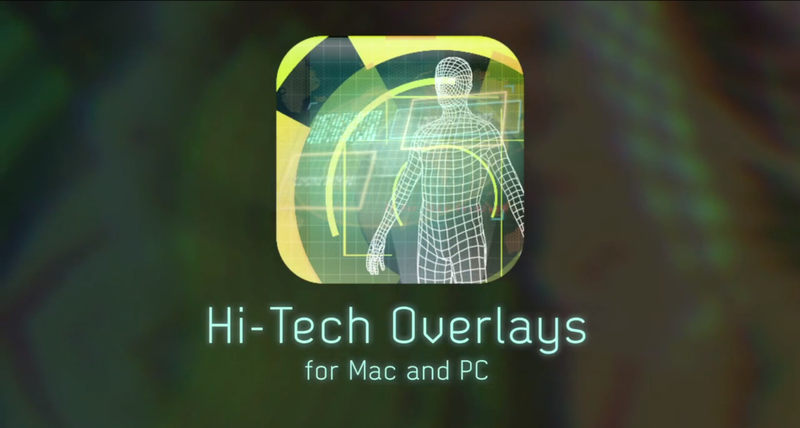 Hi-Tech Overlays is essentially a cross-platform alternative to Hi-Tech for FCPX that will work with more hosts, FCPX users would find in the library what they have already in the form of FCPX templates. There are however several advantages in using indicvidual layers, we also intend to expand the library and add more and more elements for our users, should FCPX users wish to access the library in order to handle individual layers we recommend to email support@lucavisualfx.com with their request. There are tons of ways to modify the overlays, the only limit is one’s creativity. For example with filters the user can indeed change the color and distort (some examples can be seen on the demo) but also add glow, blur and many other stylisations. Another way to create unique compositions is to combine individual elements taken from different categories (i.e. Holograms and sci-fi overlays or Screens and Fractals, you name it), use blend modes to create nice superimpositions and layers. Another great advantage that not even the FCPX template can offer in such extent is the use of any transition you can think of in order to create your own Build-In and Build-Out at the beginning and end of your composition. 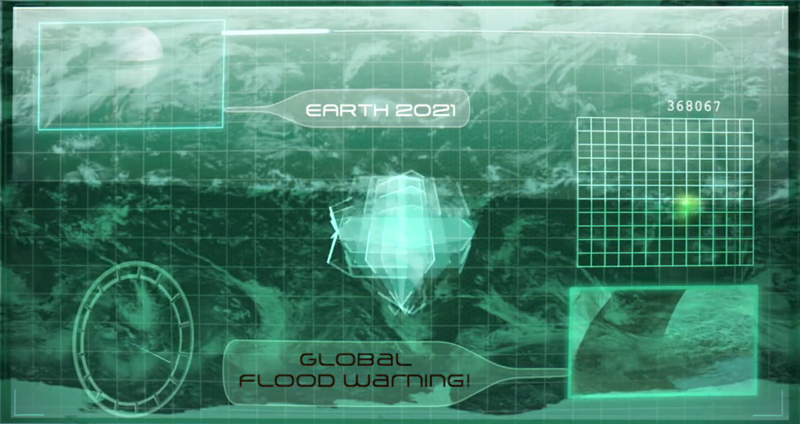 An example is shown at the very beginning of the demo where all elements come together in different ways. Possibilities are endless! 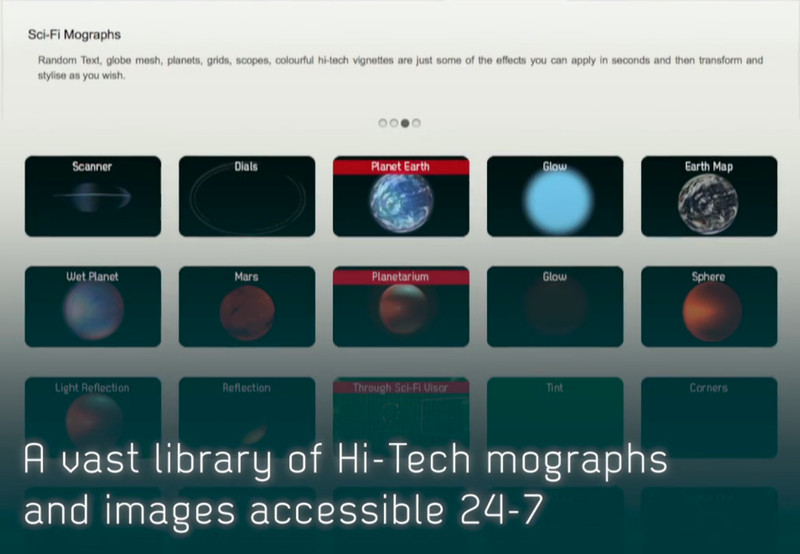 The launch price of Hi-Tech Overlays is $39 for the first two weeks. Don’t miss out on this incredible product line.